You’re driving down the highway and come upon a car going about 15 MPH below the speed limit and they have a little weave to them. Your first thought is “They must be boozing” then after some time, they move over to another lane. As you pass them you notice them on their cell phone or texting on their cell phone. Even though some cities have doled out some hefty fines for texting and driving ($800.00 plus), it continues. 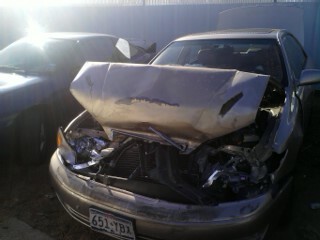 It is very difficult to not answer a text when you are driving. Even using voice commands, it still doesn’t get every punctuation or inflection. Sometimes we think that other drivers aren’t as experienced as we are, you begin to think “That newbie if he had as many miles driving experience as I’ve had…” that’s normal to think, after all, you get good at things the more experience you’ve had. After you’ve hit a parked car will you feel the same? It’s been years ago, but I made that mistake. I make it a point now to never, touch the phone when driving. I use voice commands if I have to text when driving, but I shouldn’t even do that. 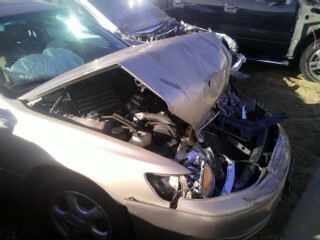 So, I’m thankful I wasn’t seriously hurt, and neither was anyone else. But, with the current development of computer-aided driving, there’s hope that in the near future technology will have an answer. Plus, those air-bags hurt like crazy!